Bosque’s International Relations and Modern History teacher Tim Green will join nationally acclaimed and student speakers this weekend for the first-ever TEDx event hosted by United World College (UWC)-USA in Montezuma, NM. Organized under the theme FORWARD, the event seeks to address problems and issues that impede forward progress. “I’ll be conveying the message that in the midst of a world that is divided with racism, xenophobia, the rise of white nationalism, hyper-nationalism, border disputes, and many other problems and intensifying conflicts, the one common thread that unites us all, that we can work toward together, is education,” he said. “We need an ‘education cascade,’” he added, playing off of the 2011 book by Kathryn Sikkink, The Justice Cascade, which argued that human rights and the value for human rights globally would not be where it is today without lawyers, activists, and civil society in the 90s working together, united, to promote human rights and to prosecute perpetrators. Post-conflict societies and doing more to invest in children of war, refugee children, and adults who may not have access to education. Understanding education as a human right and its value in democratic institutions. Defining what an “education cascade” will look like on an international/national and, perhaps, domestic level. Tim was asked to speak at this event after being referred by colleagues at the University of New Mexico. It’s there that he teaches a biannual class on the architecture of justice. Tim believes that promoting universal education—fair and equal access to education for all those affected by the penal system, those affected by conflict, or “arbitrary citizenship status”—is his life’s calling. “Investing in it more has immediate and generational effects,” he said. He credits Bosque School with his ignited passion for education. “It was teaching here that kind of sparked my love and passion and my commitment to education and really viewing it as a human right,” he said. The event is free and open to the public and will take place on Saturday, November 17 beginning at 1:00 pm in the Kluge Auditorium on the UWC-USA Campus. It will also be streamed live via Facebook. For those wanting more information, please visit the UWC-USA website. Tim Green is a second year teacher at Bosque School. 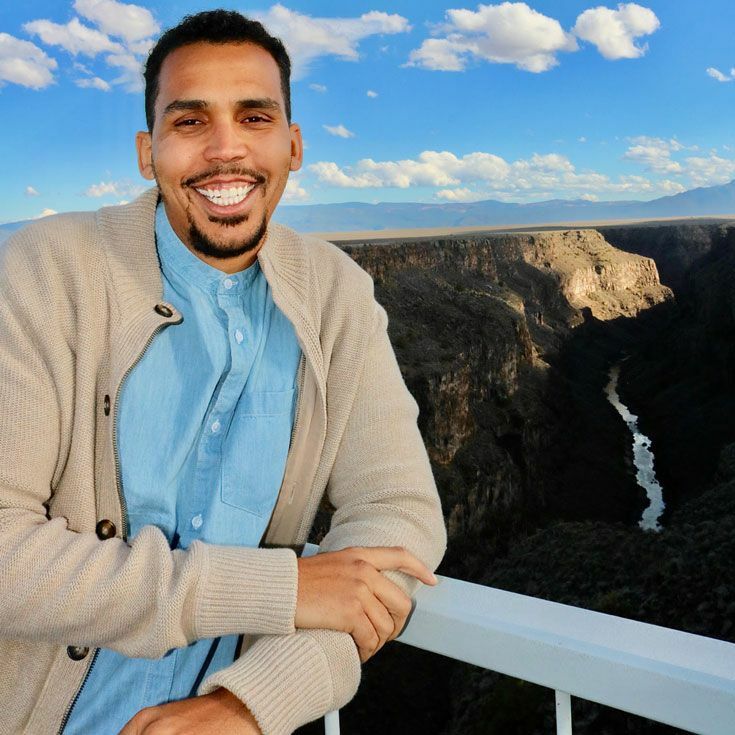 He has a bachelor’s degree in Political Science and a master’s degree in Political Science with a focus on International Relations and Comparative Politics, both from UNM. He has applied and been accepted to a PhD program in education which is currently in deferment. He plans to resume his PhD work in the fall of 2019.